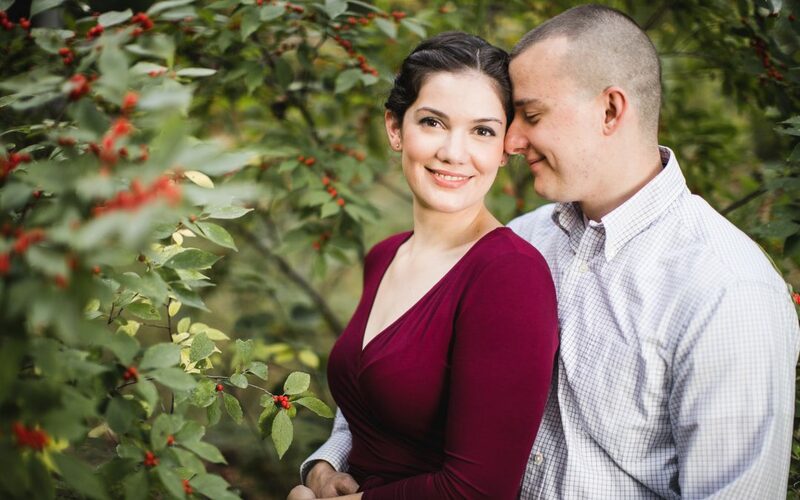 A couple months ago, just before the colors on the trees started to change, William met up with this beautiful couple at Buddy Attick Lake Park in Greenbelt for an engagement session. The location was looking vibrant during this sunset session, which ended at a favorite spot in the park: the peninsula, providing a beautiful view of the lake with the sun setting behind it. Due to slightly less than ideal lighting conditions and very little wind, William carried a light and a stand around to help cut down on some of the shadows to produce a more flattering look. This style shooting isn’t always an option in every location on every date, but it’s an example of one of the many ways a skilled photographer can mitigate the challenges imposed by the shooting environment. Check out some of our favorite shots from this session. And, if you’re interested in hiring a photographer for your engagement session or wedding, check out our Portrait Photography and Wedding Photography pages.